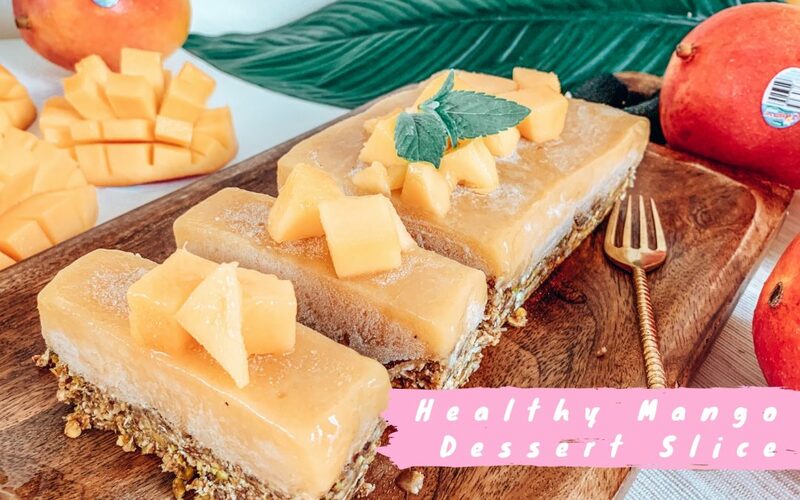 This no-bake mango slice is super easy to make and is the perfect option for a healthy dessert this summer, especially for those with a sweet tooth! 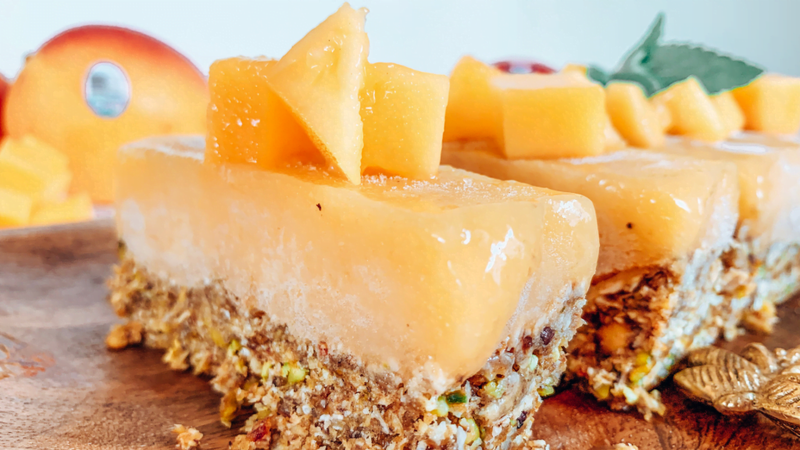 I used Calypso Mangoes in this recipe because they have a sweet taste and fibre-free flesh, so the mango doesn’t get stuck in your teeth. Place nuts in a high speed blender and blitz until chopped consistency. Add in coconut, oats, dates, honey & water and blend until well combined. Scoop out and place in an oiled and lined small loaf sized baking tin. Press down to flatten and evenly fill the tin. Place the banana and flesh of the 4 mangoes in the blender and blend until smooth. Pour into the baking tin evenly over the base and freeze overnight. Once frozen, remove from baking tin by turning upside down and gently hitting the base. Flip and slice. 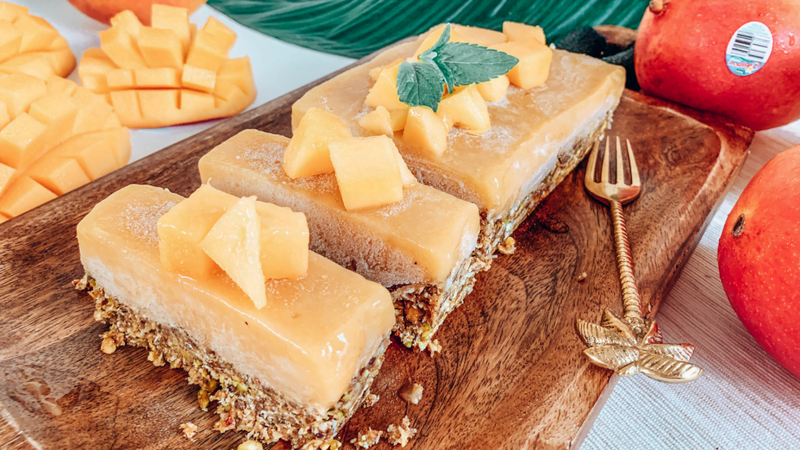 Top with squares of fresh mango and mint leaves. Enjoy. Editor's Note: this recipe was created as part of my work for Calypso Mangoes.